"Senpai... you're even going to change me?" From the manga series on the Fate/Grand Order official site, "Learning with Manga! 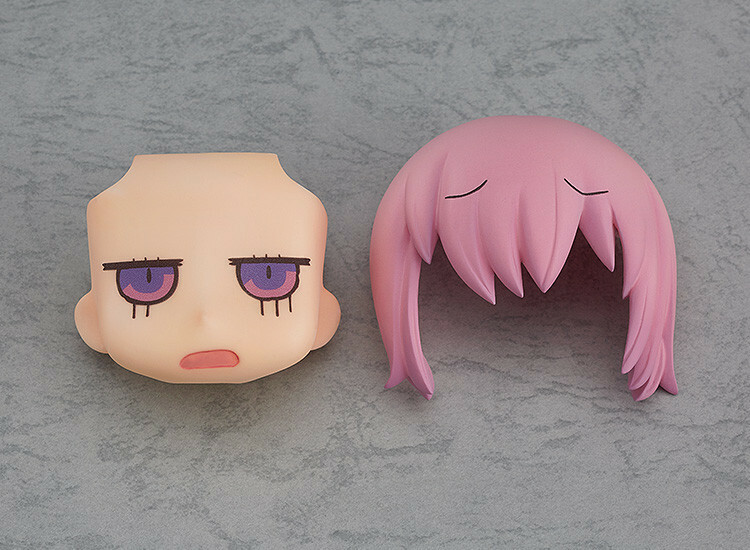 Fate/Grand Order" comes a special alternate face plate for Shielder/Mash Kyrielight! The face comes complete with an alternate front hair part to completely recreate the cute appearance from the manga! Nendoroid Shielder/Mash Kyrielight is also being rereleased, so whether you already own her or choose to add her to your collection now, be sure you don't miss out on this chance to power her up! 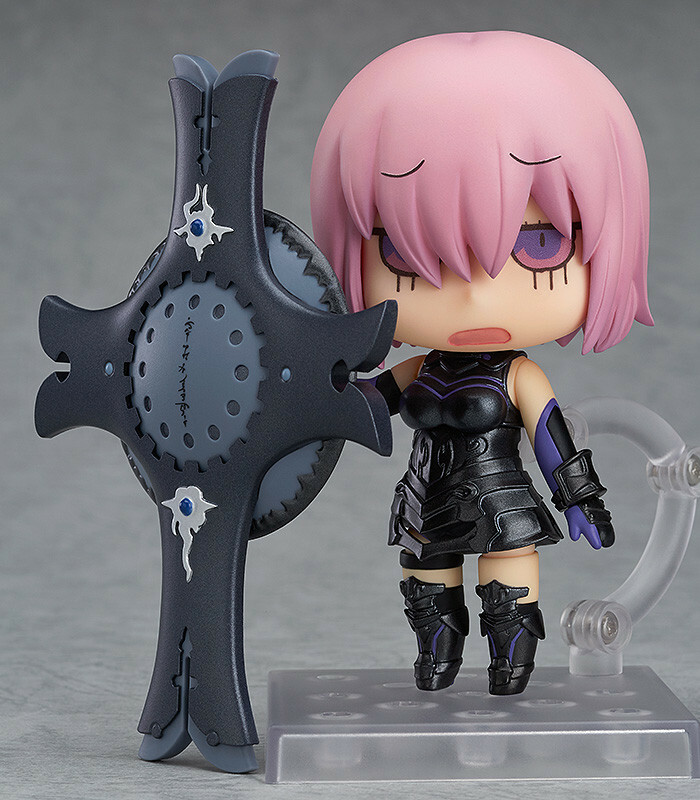 Displayed on Nendoroid Shielder/Mash Kyrielight (sold separately). This product only includes a Nendoroid Face Plate and Front Hair Parts. 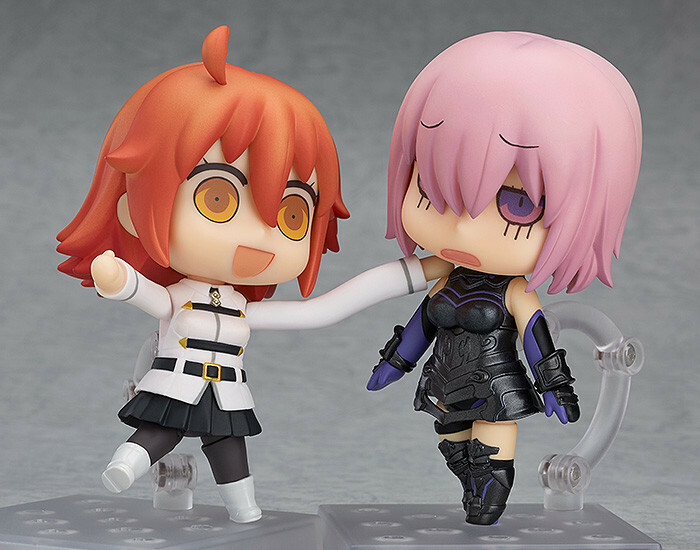 Displayed on Nendoroid Shielder/Mash Kyrielight with Nendoroid Gudako (both sold separately). This product only includes a Nendoroid Face Plate and Front Hair Parts. Painted PVC Nendoroid Face Part. Approximately 40mm in height. Preorders will be open from 4th April 2017 (Tue) from 12:00JST until 11th May 2017 (Thu) at 12:00JST.